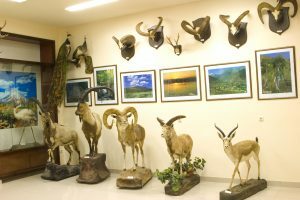 The first hall introduces visitors to Armenian nature, its relief, metallic, non metallic natural resources, semiprecious stones, as well as freshwater and numerous mineral water sources, monoliths depicting soil types, climatic diversity, rivers and lakes, vegetation (in particular, wild cereals, which are under state protection). Entering the hall, a visitor can get information about making process and ingredients of holy muron. 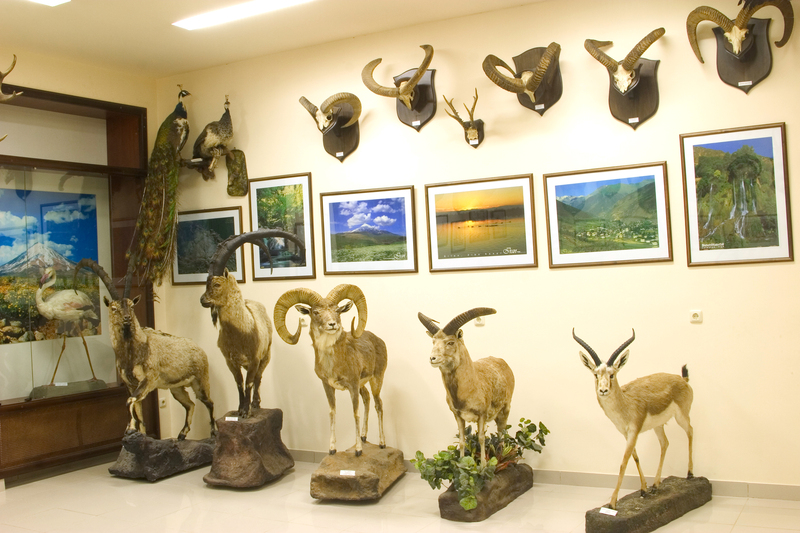 Additionally, a special part in the hall is devoted to fossil specimens of flora and fauna defining Armenian nature. 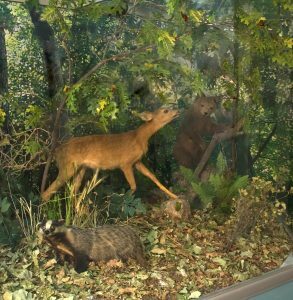 Great significance is given to the nature protection in the halls. The Red Book of animals and plants of the Republic of Armenia (designed to register endangered, threatened and rare animal and plant species) is displayed. Nature specially protected areas are showcased on maps and stands. Armenia is a typical mountainous country, consequently a visitor can travel along climatic zones ranging from semi-desert zone to alpine zone in the second and third halls. Semi-desert zone is portrayed through the view of Ararat valley, where cold-resistant grape varieties are featured on grapevine. Selection of fruits, berries and vegetable crops made out of wax and plaster molds are depicted in baskets, as well as some species of flora and fauna specific to the zone are exhibited. 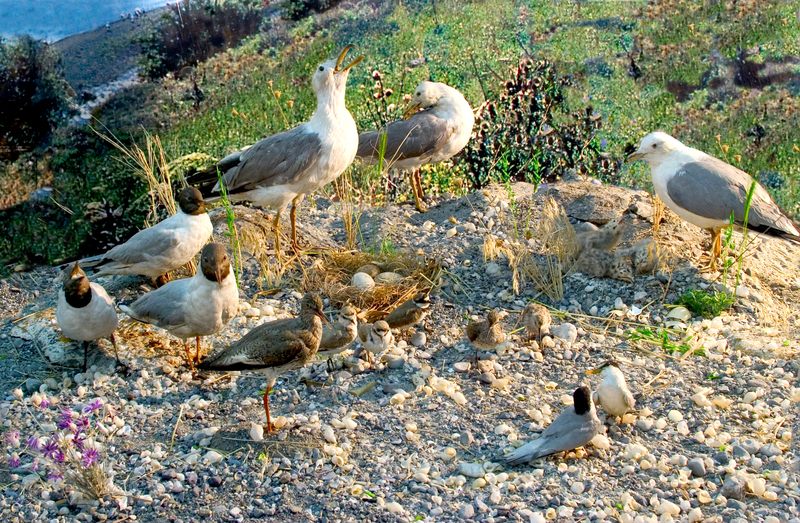 Birds occurring in Armenia, including wetland and vulture species are displayed in the halls. Forest zone is featured through views of Dilijan national park and Khosrov forest state reserve; wood cuts and seeds of trees, shrubs typical of the RA forests are focused here. The hall focuses on the steppe zone, which is prevalent in the country. The hall has a corner of the “pulvinar” plants specific to this zone. 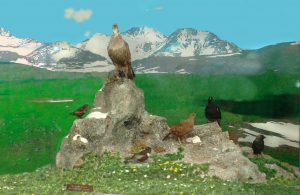 Additionally, a typical vulture wolf, large vulture birds are displayed. The class of amphibians and reptiles typical of Armenia are represented on the stand. Besides the mountain-meadow zone is featured; it comprises massifs and plateaus. This zone is not wealthy with fauna species, nevertheless it is very unique. The hall is devoted to the family of benefactors from Tehran, Mr. and Mrs. Aharonyan. 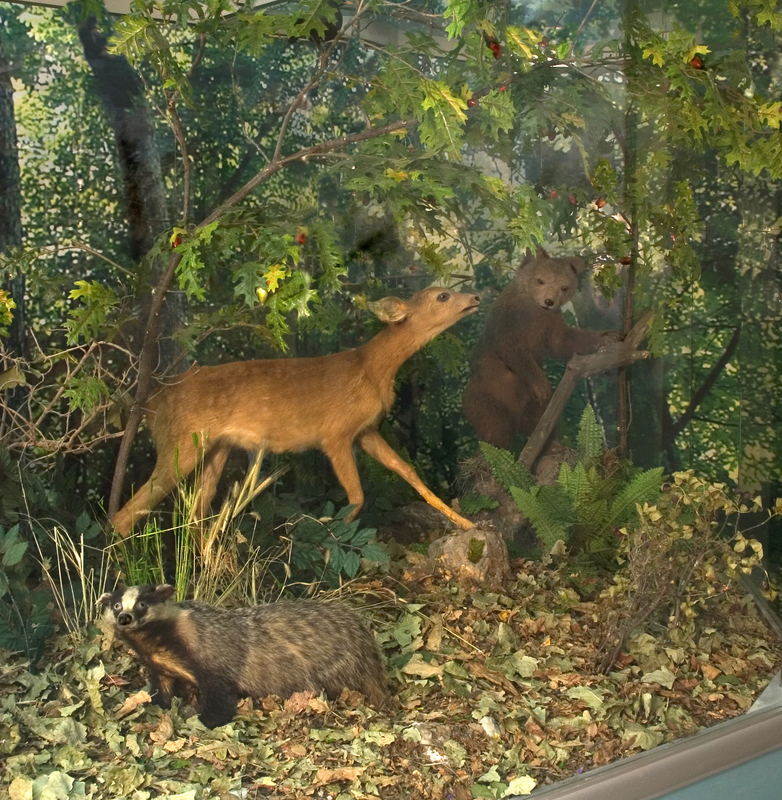 The hall portrays the exhibits, that were donated to the museum from their own collection : Armenian mouflon, Bezoar goat, goitered gazelle, Caucasian leopard, wild boar, European otter, grey wolf, vulpes and etc.